Wherever you choose to Cruise, luxurious travel is more than scenery and sleep. Dancers , talent and entertainment are part of any great holiday. Realise the journey, imagine the joy fulfilling those dreams. Simply, enjoy your travel while doing what you do best. with our Dancers, Instructors & Talent keeping the world dancing. 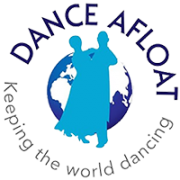 River or Sea Cruise, UK or abroad, Dancer or Talent, we assist our members. Our Agency was founded in 2001, and since then we have been aiming to keep the world dancing, making our members happy & confident too. As an established and professional Agency, we have developed our love of dancing into more than we could have hoped, with help from our Dance Hosts and clients. With regular Cruise Ship working holiday contracts we are fortunate to have evolved into more than just dance talent agents, now working with Instructors, Singers, Pianists, Musician and Cabaret Acts. Read more ‘about us’ on the menu link above, or continue reading below for further information. We have upcoming working holiday Cruise Line contracts. Free registration, join us for opportunities. Are you a social Latin/Ballroom dancer? enjoy meeting new people? Now recruiting Gentlemen Dance Hosts. Interviews are being held in Ipswich, Blackpool & London. Unsure if we are looking for you? More Instructor than performer? Any questions? We are here to discuss. As your consultant in the UK, we are here to assist. We hold UK based auditions, interviews, experience days, plus tuition and training workshops, if required. Also, finding you the right Cruise or destination is all part of our service and this can range from 1 day to 6 months, UK holiday, overseas, plus sea or river based cruises, for singles or Professional couples. Well established and as an Agent for Dancers, Cabaret and Talents, working with Holiday and Cruise Line providers Worldwide. Having the knowledge and exerience, we are ideally suited as Consultants to discuss and develop the best working holidays for you. Our Gentlemen Hosts, Professional Couples & Instructors, are Dance Talents at top level. Dedicated, active, sociable and honourable. Hi, I recently returned from the cruise which departed from Liverpool on 8th August and I just wanted to let you know what a delightful group I found the dance hosts on board. They were John, Ray, Martin and Clare and all of them were so pleasant and friendly they immediately put you at your ease. As someone who used to dance quite a lot but had not done so at all since losing my partner some years ago they encouraged me to get up and see how much I could remember and were very tolerant of my mistakes. This greatly increased my enjoyment of the cruise so please could you pass on my sincere thanks to all of them. Robin’s interest in dance was initiated by his parents when they enrolled him at the age of three in a local dance school in Ipswich. From the beginning, Robin studied both Ballroom and Latin dance, eventually competing in those disciplines at the highest levels. His skills eventually led him to represent England, amassing numerous World Championships, both on the domestic and international level. Windsor competed successfully in the juvenile and junior ballroom dancer categories. He has even represented England in the World Championships. From 2003 to summer 2010, Robin was part of the cast of Burn the Floor, one of the leading ballroom based shows in the world. Two tours with Burn the Floor (2003, 2004) and three with FloorPlay (2006 to 2008) took him several times around the world, leading up to the highlights being a stint on Broadway (2009) and in the London West End (2010). From Broadway Robin’s abilities took him to Dancing with the Stars Australia and So You Think You Can Dance in Holland. He was also asked to assist in the choreography for the Australian version of So You Think You Can Dance. In 2012 Robin starred in Dance To The Music Tour along with his professional partner Kristina Rihanoff, fellow Pro Dancer from Strictly Come Dancing Artem Chigvintsev and Kara Tointon who won the Strictly Glitter Ball in 2010. With music from the Strictly Come Dancing Band the show toured the UK in a successful run. In 2013 from 6 March to 30 June 2013 Robin returned to headline Burn The Floor along with his professional partner Kristina Rihanoff, a hugely successful run in the heart of London’s West End at The Shaftesbury Theatre. Debbie has known Robin since he was a little boy, they trained at the same Dance School in Ipswich so she is very excited to be able to team up with Robin in this new venture.